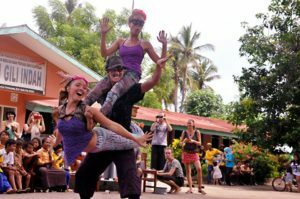 Circus Show at Gili Air School! spend a different morning and contribute to the community. All proceedings will be donated to the local school. this year we want to support the tourism and English weekly classes! Come and have fun, come and support the local community! TELL ALL THE CHILDREN YOU MEET! !